American Biotech Labs has just released what is believed to be the first ever human ingestion safety study on a colloidal silver supplement. The published abstract for the study states that ingestion of the patented ABL nanosilver product showed no negative effects on any tested system in the body. One of the charges commonly laid against colloidal silver supplements by critics and natural health skeptics is that there have been no “double-blind, placebo-controlled human ingestion studies” conducted on the substance. American Biotech Labs has just released the preliminary data from a double-blind, placebo-controlled cross-over phase study conducted by researchers at the University of Utah, at Salt Lake City. The new study is titled An In Vivo Human Time-Exposure Investigation of a Commercial Silver Nano-Particle Solution. In the study, healthy volunteer subjects ingested American Biotech Labs 10 ppm colloidal silver solution for periods of three days, seven days and 14 days. There were 36 subjects in all, 12 per each of the three time-exposures studied. The study subjects took one tablespoon of the American Biotech Labs colloidal silver product per day (15 mL/day) for their assigned period. Plus, the researchers conducted magnetic resonance imaging (MRI) examinations of the chest and abdomen at baseline, and at the end of each phase. “No clinically important changes in any metabolic, hematologic, or urinalysis measure identified were determined. No morphological (or structural) changes were detected in the lungs, heart (cardiac function) or abdominal organs. These results are important, because critics often charge that colloidal silver ingestion harms blood cells, kidney function or function of other organs in the body. And some critics even falsely charge that ingestion of colloidal silver boosts the body’s production of potentially dangerous free radicals and inflammatory cytokines. Of course, in previous in vitro clinical studies (i.e., laboratory test-tube studies), colloidal silver has actually been demonstrated to protect human nervous system cells from harm. Colloidal silver has also been demonstrated in in vitro clinical studies to prevent blood clots without causing harm to red blood cells. What’s more, in another in vitro clinical study, researchers found that instead of colloidal silver causing an increase in pro-inflammatory cytokines, it actually reduced them. And on page 235 of The Ultimate Colloidal Silver Manual, I write extensively about a recent in vitro clinical study demonstrating silver’s ability to significantly quench free radical activity in brain cells, rather than cause it as critics so often charge. Finally, a 2011 oral ingestion study and a 2012 oral ingestion study, both using animals, demonstrated that even relatively high doses of silver nanoparticles taken over short periods of time caused no mortality or acute toxic signs in the animals tested. So the shrill cries of the skeptics, critics and colloidal silver naysayers remain completely unfounded to date. 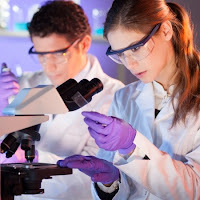 Now, the positive results determined by this University of Utah human ingestion study constitute another milestone in negating the hyperbolic accusations of the critics of colloidal silver. “In-vivo oral exposure of a commercial 10-ppm silver nano-particle solution over 3, 7, and 14-day exposures does not exhibit clinically important changes in metabolic, hematologic, urine, vital sign changes, physical findings or imaging changes visualized by MRI. In short, this first preliminary study demonstrated that the daily consumption of the colloidal silver product tested was safe for the time exposures studied, and indicates that longer-term human ingestion studies need to be conducted for further insight. As a prelim to the human ingestion study, Keith Moeller, a managing director at American Biotech Labs who has been taking small amounts of colloidal silver almost daily for over 15 years, volunteered to be checked for silver deposition in his body. The researchers did an array of blood tests, as well as a full body MRI scan that took nearly two hours while they checked each organ looking for evidence of silver deposition in his body. No silver residue was found anywhere in Moeller’s system. No harm to his bodily functions was discovered. No abnormalities were found. In short, properly made colloidal silver, used responsibly in small daily amounts, appears to be abundantly safe even over the long-term. Widely Used With Amazing Safety! The bottom line is that hundreds of thousands of oral colloidal silver doses are used every month in the United States with no significant adverse effects or detrimental consequences. Colloidal silver when properly made and responsibly used has one of the safest toxicological profiles of any nutritional supplement. In contrast, prescription drugs, even when properly used, result in an average of 106,000 deaths per year, plus untold adverse reactions and side effects, according to the Journal of the American Medical Association. While the critics ignore the above data and tout the very small handful of cases in which negative effects were attributed to colloidal silver after it was used abusively over long periods of time, they will now have to admit that responsible use of colloidal silver has no serious clinically discernible negative consequences. Learn more about colloidal silver and its usage by clicking the link in this sentence. Do You Really Need a New Nanosilver Toothbrush?